Yes, I´m skiing for two this winter. You understand it right; pregnant. So far it has been quite the adventure. 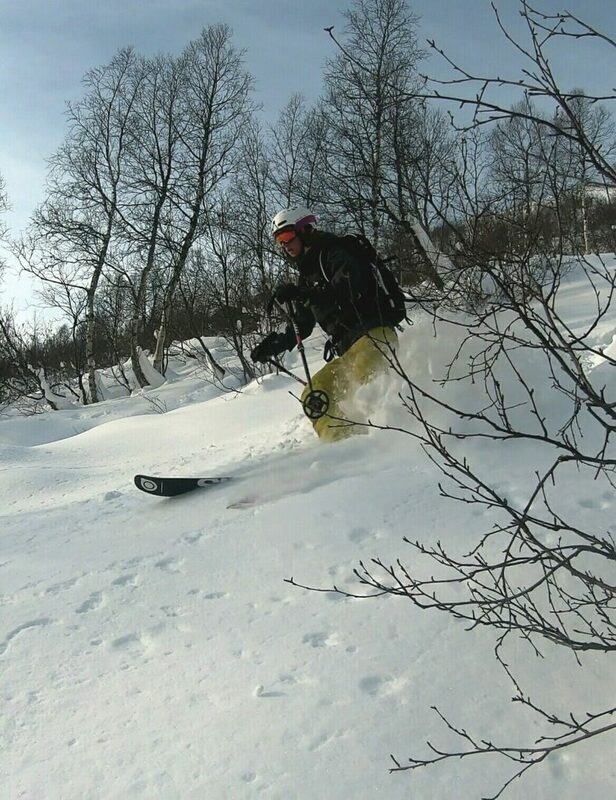 About 4 months ago we packed up for a winter season in Myrkdalen, hoping for good pow, looking forward to teaching and ski guiding. I for sure was excited to see how this winter would pack out: to which degree would my pregnancy influence my skiing? Would I have to defend myself constantly? Would I know my limits and stick to them? Already before I got a positive on the stick I had secretly scrolled the internet and read Ingrid Backstrom´s blog about her skiing when she was preggo. This inspired me big time, but the whole thing was a scary venture nonetheless. The online health sector has definitely their opinion on skiing whilst pregnant: it´s dangerous! they highly recommended to not ski. However, some doc´s in Norway do respond differently and don´t make a fuss about it. I for myself have my own colored thinking. My goal is, for as long as I am able, to keep skiing for as longs as I can, and keep pushing myself to get technically better. I have to state the fact that I´ve been feeling pretty fit and healthy so far, being one of those lucky ones experiencing no sickness or health issues whatsoever. Now that we are into the last month of on-piste skiing, me being a little more than 6 months on the way, I realize just how able the pregnant body is and how strong the mind of a skibum. 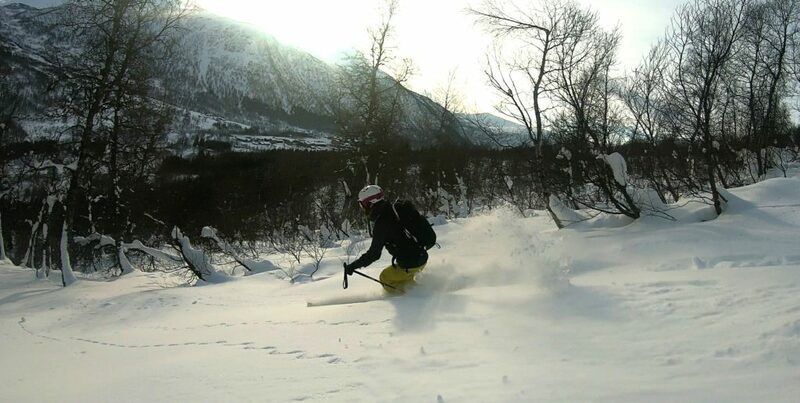 My skiing has never been better, let alone my increased knowledge and understanding of the mechanical side of skiing. As this new ski and bike baby is growing – I´m 28 weeks right now – I have to admit that I meet hurdles along the road as well. Never would I have imagined that it would take so much energy to grow a kid, let alone the craziness of catching the emotional roller coaster. It doesn´t leave one with much of a choice then to just sit out the ride – no matter how much you´d like to keep in control. Never have I cried or been upset as much as now. I regularly have to adjust my expectations. Society and many around want us to experience pregnancy as a sweet dream coming true, but reality is that we who ski or live very active life´s make huge sacrifices along the way to follow our passion. No glasses of wine to celebrate a well skied run, ride along the sideline while everyone gets their high skiing some fun bumps, little to no energy after work, a strong and fit body changing only to hope to get it back some wonderful day.. Oh yes, I´m sure it´ll turn out well and all; and that it is all worth it and so, but as a new ski mom who makes my living skiing I find it all quite challenging. First of, evaluate your skiing skills. 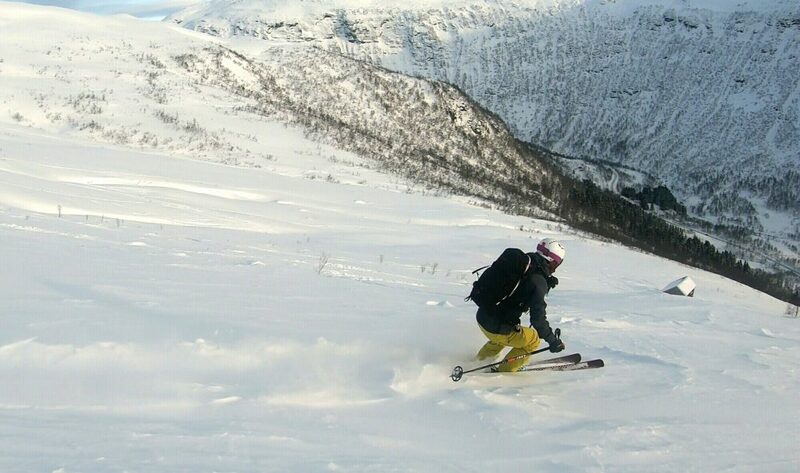 If you´re a beginning skier, it is probably not a good idea to ski pregnant. 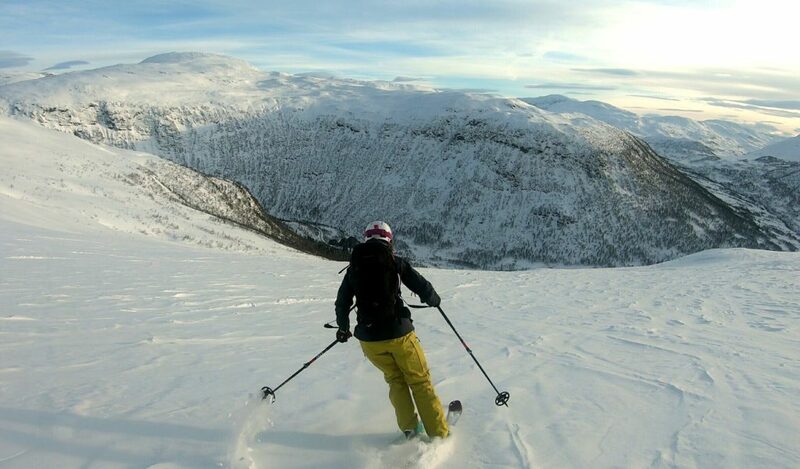 A good skier who´s able to ski the whole mountain in control, will likely have enough skills to ski safely. As partners, talk with each other and come to an agreement that works for the both of you. I am so lucky my husband is a skibum and that we´re both making our living skiing. It definitely makes the difference discussing this subject with someone who understands your passion for skiing. 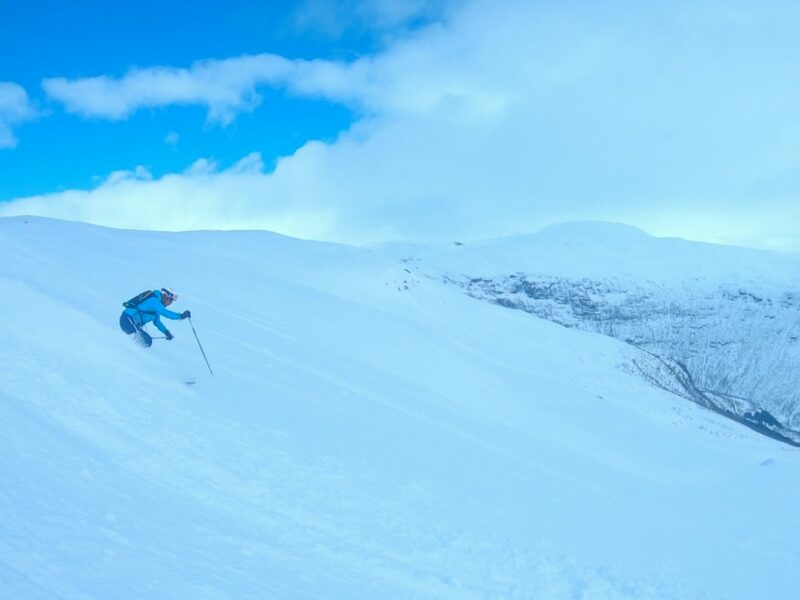 Try and stay away from crowded slopes, the chance of being skied down by someone is high – especially in resorts where no-one is paying attention where they ride. Believe me, the first time I was run down by a snowboarder is approx. 1 month ago, and it doesn´t do you any good. However difficult it is, try and set realistic expectations for yourself; listen to your body. I am still learning how this works out for me, but it´s a good idea to regularly give it some thought and speak about with your partner – who most likely knows you best. Be open-minded to having to make adjustments along the way. 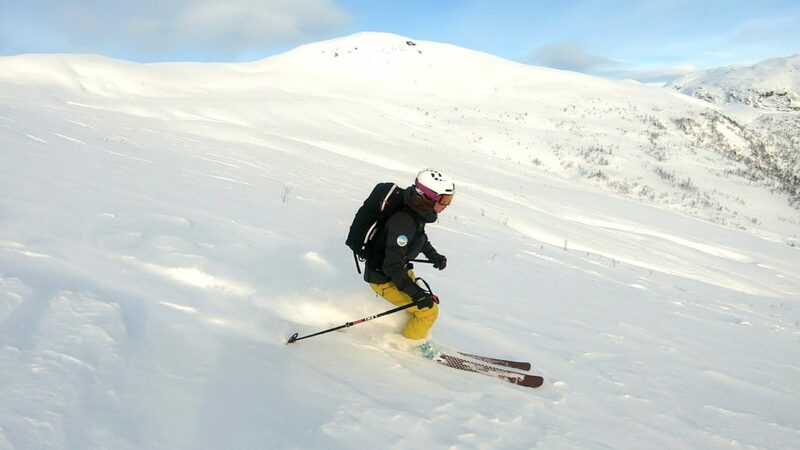 Make up your mind on how hard you are willing to ski. You don´t have to ski like a whip, but hold yourself to the agreements made, however hard that is. One of the agreements I made is that I won´t ski bumps or giant slalom at this stage of my pregnancy. The bumps looked really fun the other day and I really wanted to ski them – but my agreement kept me from it, and I think that was and is the right thing for me. Be confident. 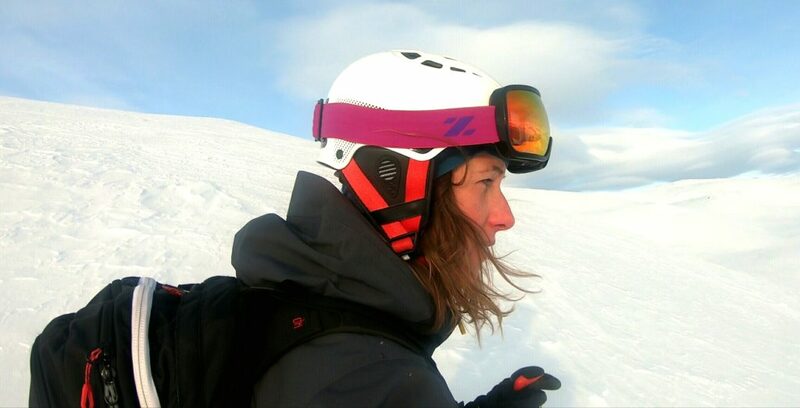 If you´re constantly on edge or nervous, it´s going to be reflected in how well you ski. Trust yourself and your skills, enjoy and let it rip.